Toronto, Ontario (September 16, 2016): More industry news flows from Toronto’s Largest Powersports Show, as it’s announced that CFMOTO Canada is set to showcase their lineup at the 29th Annual Toronto International Snowmobile, ATV & Powersports Show (TISAPS), October 21-23, 2016 at the International Center. 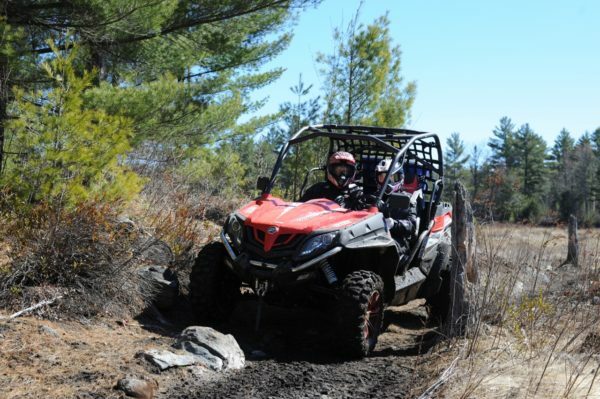 Located in Hall 1, CFMOTO Canada will feature their CFORCE, ZFORCE AND UFORCE ATVs, Side-by-Sides and UTV vehicles throughout their corporate booth. CFMOTO Canada is also proudly presenting it’s new corporate relationship with LUCAS OIL. LUCAS OIL is now the Official oil and fuel treatments for all CFMOTO Canada products . Don’t miss The WORLDS Largest Snowmobile, ATV & Powersports Show, The Toronto International Snowmobile, ATV & Powersports Show… Mark your calendars now! Advanced Tickets are ON SALE NOW… Save $3.00. The 29th Annual Toronto International Snowmobile, ATV & Powersports Show is one of the most interactive and family friendly Shows, with more things to see and do, with all aspects of Snowmobiling and ATV’ing at one place, and at one time, only at the International Centre where parking is free! Halls 1 and 2 are sold out, Hall 3 is 90% sold out. October 21, 22, 23, 2016 – For more information, to purchase advanced tickets, or to be an exhibitor at the show, please call 1-888-661-SHOW (7469) or visit us online at www.torontosnowmobileatvshow.com. LARGEST SNOWMOBILE AND ATV SHOW…ANYWHERE! Mike Blakoe, Show Manager, Marketer Shows Inc.